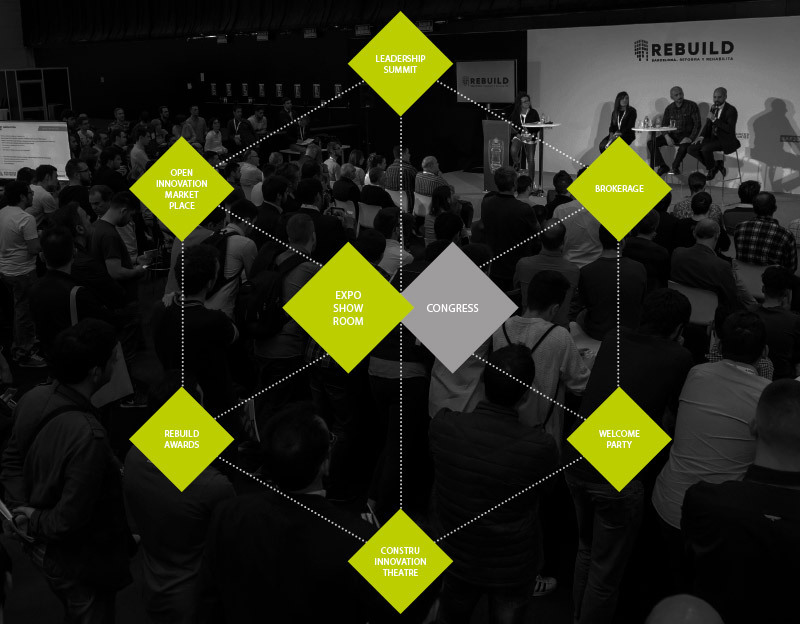 REBUILD provides a unique platform of innovation to invigorate the sector of construction, renovation and the energy efficiency of houses and buildings. It is a place where the professional of the sector is provided with a specialized environment where to find the latest products, materials, solutions and services. New construction companies, developers, rehabilitation companies, architects, builders and installers. Projects and housing stock to be renovated soon. New products and innovations showcased. Partners in the framework of construction and renovation sector to meet and deal with. Along the Fair-ShowRoom and the National Congress of Architecture 4.0 and Advanced Construction, REBUILD gathers various events that make it a not-to-miss event for any businessman or professional of the construction sector, interior design and rehabilitation.